Nice cabin, better than the pictures on line. Excellent location, close to city and ski resorts. Had an excellent time. Thank you!! This review was originally posted on HomeAway for a stay in Jan 2017. Great location just outside of Breckenridge! The cabin was spacious and had plenty of room for multiple people to sleep comfortably. Overall the stay was great. One recommendation would be to get a new shower head in the main bathroom for better water pressure. The hot tub did not work properly as the jets would not all run. Only one corner worked. Outside of these two things the place was great. *This review was originally posted on HomeAway.com for a stay in December 2016. Cabin was very comfortable. Skiing was great in Breckenridge. Gold Run Nordic Center had very good groomed cross country trails. This cabin was amazing. We easily fit 9'people and all of our stuff. Gorgeous view around the area and very friendly neighborhood!! Would recommend friends and family staying here!! Thanks again !! We had a wonderful stay at this adorable home. It was perfect for a cozy cabin getaway with friends and/or family. The loft was a perfect space for a good group of people to hang out before crawling into the cozy beds. The indoor hot tub was amazing. If it ever got too hot in the hot tub room, we just opened the doors that led to the porch and that let a lot of fresh cool air in. The gentleman who lives downstairs was very friendly and helpful. He did have dogs that barked occasionally, but that never bothered us. The cabin was perfectly placed a little outside of town. You get that outdoor wilderness feel, but you're also only a few minute drive into the heart of Breckenridge. The only downside is that the kitchen was not exactly well stocked. Pots, baking pans, and spices were a bit limited. Also, I would recommend bringing some of your own pillows because some of the ones provided are a bit uncomfortable. But overall, it was a great stay and we'd definitely go back! *This review was originally posted on VRBO.com for a stay in November 2015. 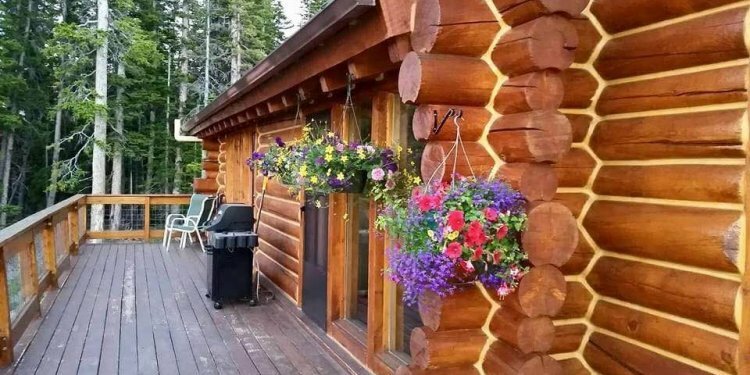 Wonderful, cozy cabin with such a great 'get-away' feel. Plenty of space, roomy, and great lighting throughout. Communication with the tenants downstairs as well as the property owner were very pleasant and helpful. Would definitely recommend this to friends and family and may even look forward to a return trip in the future!